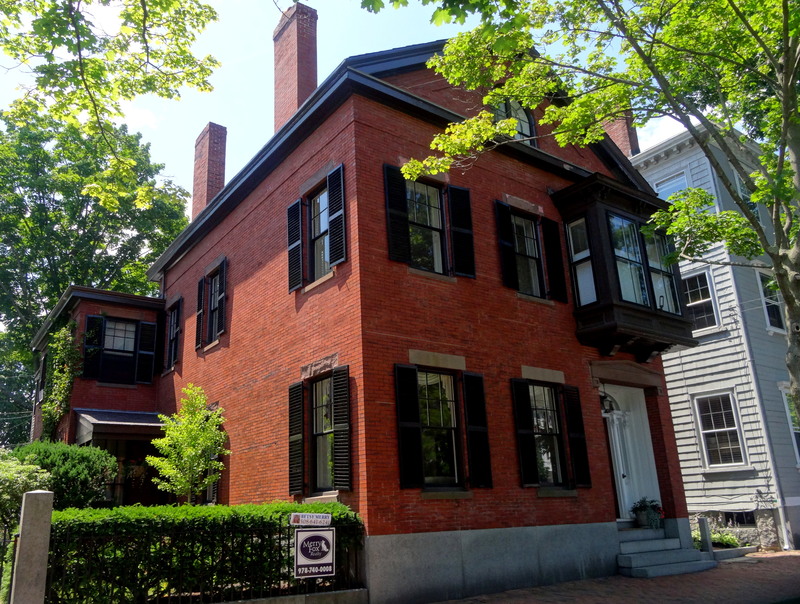 I think I’ve covered just about every architectural style represented in Salem over the past few years: lots of variant Colonial houses, the very dominant Federal style, and many of the nineteenth-century styles, including Gothic Revival, Italianate, Queen Anne and Second Empire. 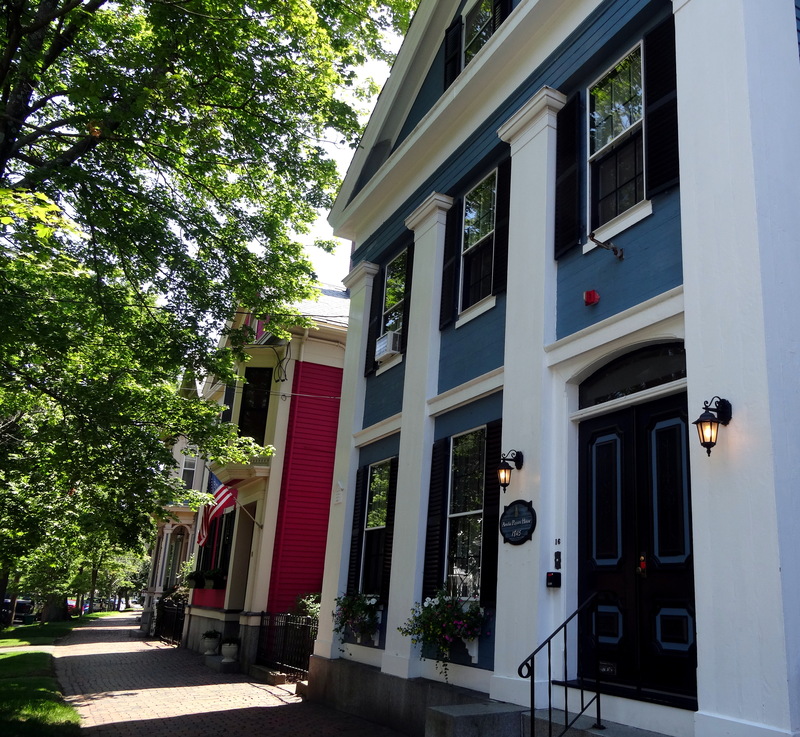 But I haven’t featured many houses built in the so-called “National Style”: Greek Revival, which dominated public and domestic architecture across the United States in the mid-nineteenth century. 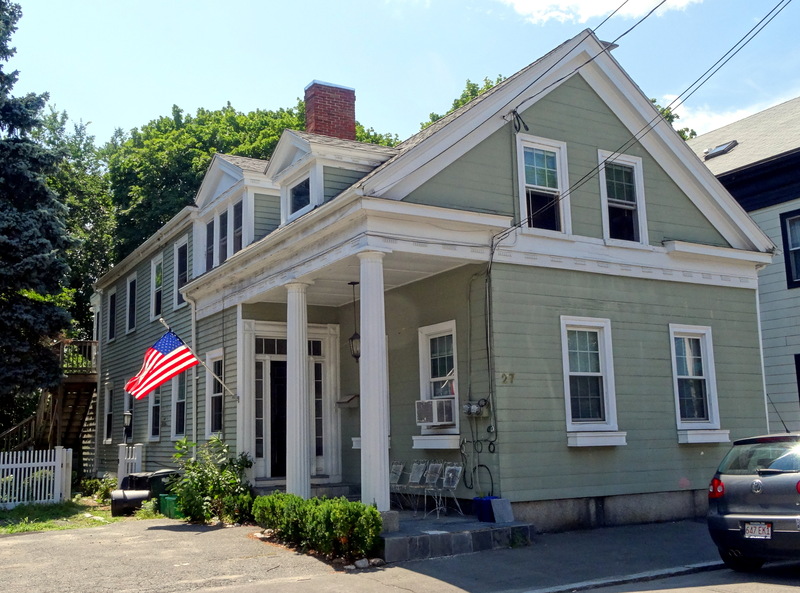 The very first house I lived in in Salem was assertively Greek Revival (built in the 1840s, the peak of the style) and my present house (built in 1827) should probably be classified as such too but it’s such a miss-mash it doesn’t really feel classical. 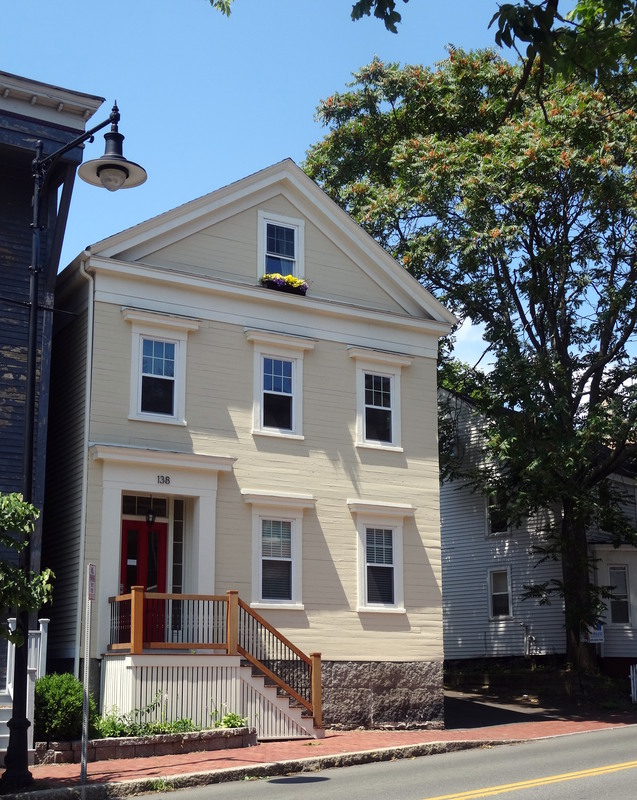 That’s a bit early for the Greek Revival in Salem, which held onto its Colonial and Federal styles longer, I think. For that reason, as well as the Great Salem Fire of 1914, it always seems like Salem has fewer Greek Revival structures than it should have: many of the public buildings, including the “new” City Hall, are Greek Revival, but you don’t find too many domestic structures as they would have been built in the “newer” neighborhoods along Lafayette Street, the center of the conflagration. Some of the most poignant “postcards from the Fire” show Greek Revival houses being devoured. 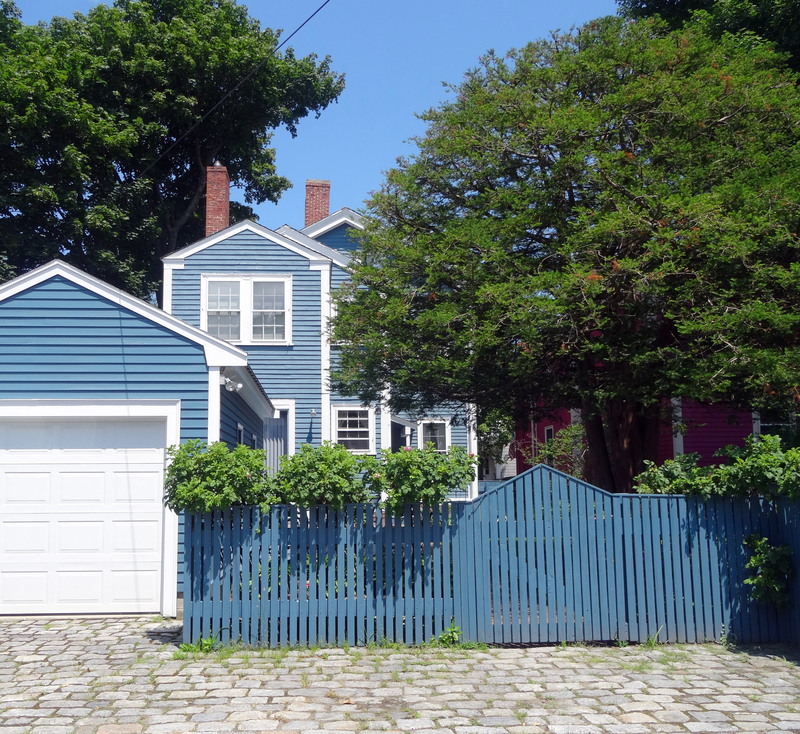 Yet there are Greek Revival houses on nearly every street in the older sections of Salem too, signs of success in the mid-19th century city, no long a center of a global commerce, but still bustling. 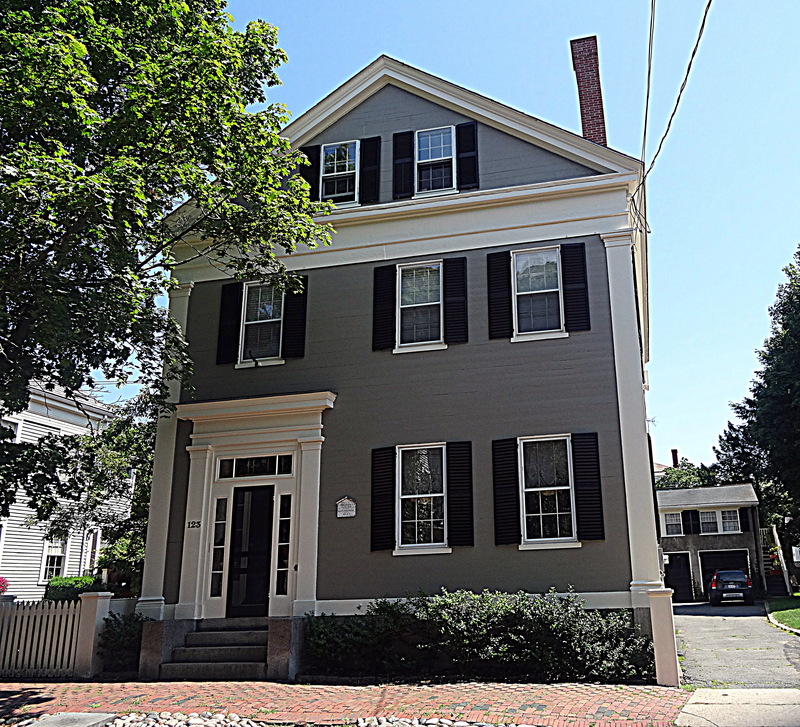 Two such houses, located on Winter Street, are now for sale, which prompted my long-overdue Greek Revival post. 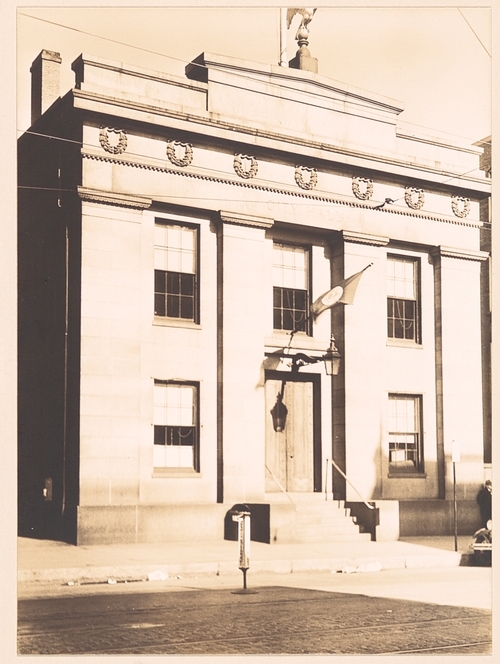 Walker Evans’ photograph of Salem City Hall, taken in the early 1930s when he visited Salem and shot only Greek and Gothic Revival structures–no Federal! (Collection of the Metropolitan Museum of Art, more here) These were clearly his architectural preferences, and he captured similar structures wherever he went. 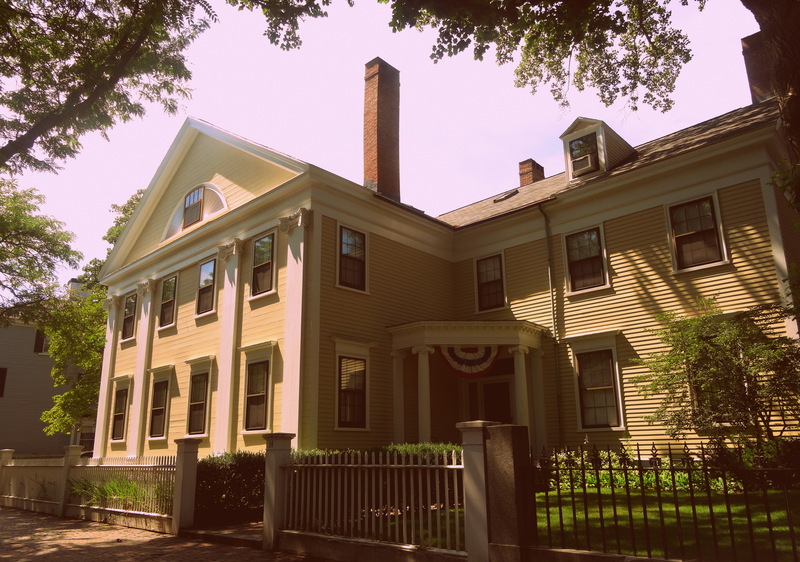 Quite contrarily, Salem’s own Frank Cousins was quite condescending about the Greek Revival, probably because such structures replaced his beloved Colonial houses in downtown Salem. 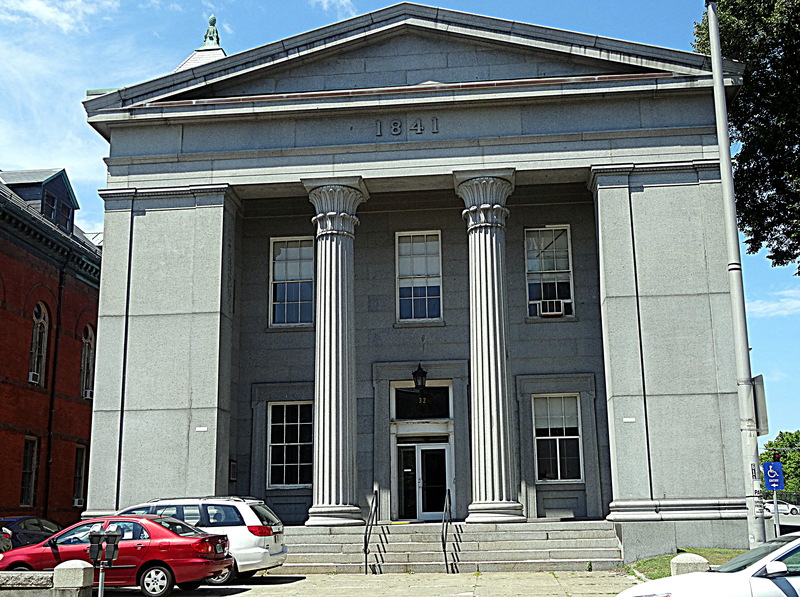 The now-mothballed Greek Revival courthouse on Federal Street. 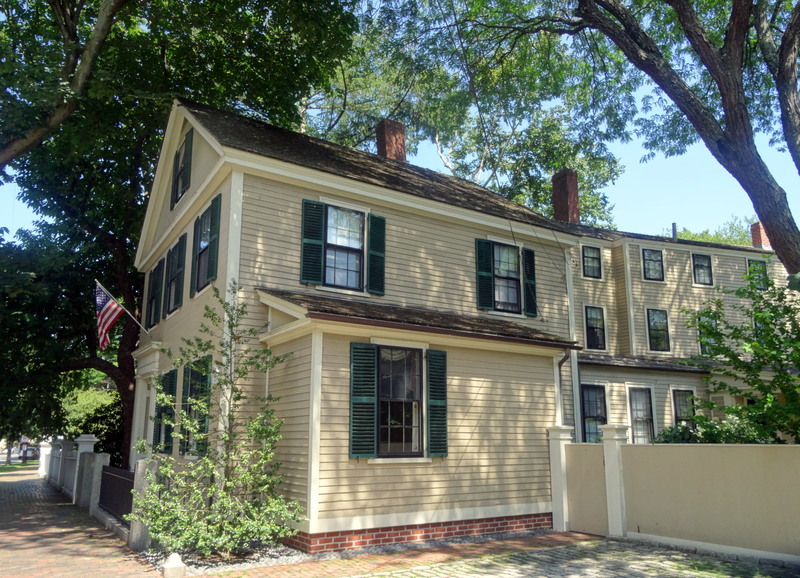 Winter Street Greek Revivals presently for sale: The Captain John Bertram House at number 24, built in 1842-43 by Salem’s greatest philanthropist. 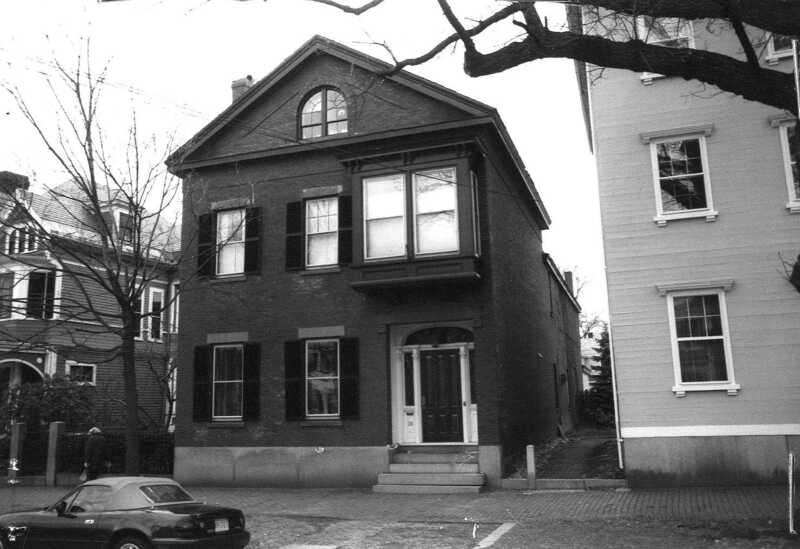 The black & white MACRIS photo is from 1998 (An absolutely stunning house: check it out), and the Payson-Fettyplace House at number 16, built in 1845, which has been operating as an inn for some time. Below: more Salem Greek Revivals, by no means an exhaustive collection! 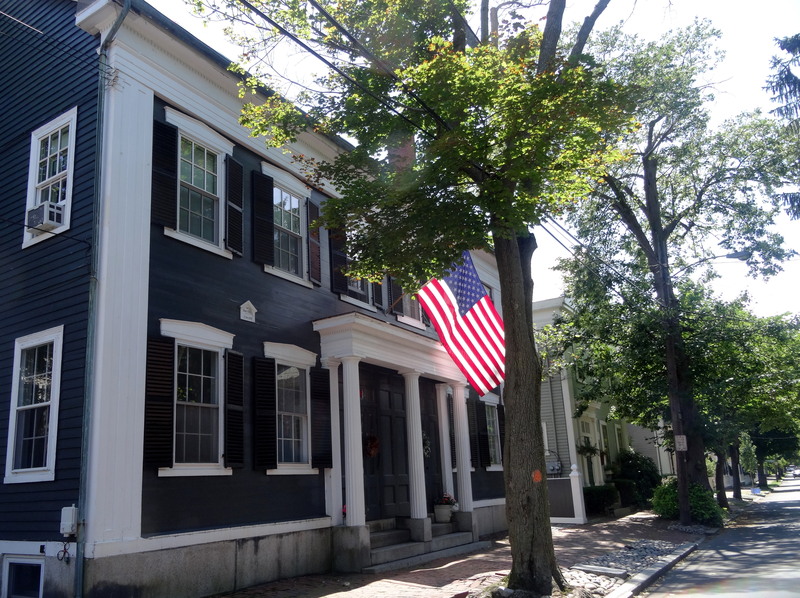 A Greek Revival “cottage” on Northey Street, a recently-revived Greek Revival on Bridge, a row of Greek Revivals on Federal, a Greek Revival with many additions on Essex, and the stately Lee-Benson Mansion on Chestnut, all built in the 1840s.